This week's love song is Mary's A Grand Old Name from Yankee Doodle Dandy (1942). Mary's A Grand Old Name was one of the biggest hit songs written by legendary Broadway showman George M. Cohan. Cohan wrote Mary's A Grand Old Name for one of his most popular shows, Forty-five Minutes from Broadway.The show spawned many hits, but Mary's A Grand Old Name, which was designed as a showcase for star Fay Templeton, became a popular standard. This clip from Yankee Doodle Dandy recreates Templeton's stage version of the song. Irene Manning is playing Templeton. Cohan probably wrote Mary's A Grand Old Name with no particular lady in mind. Cohan's second wife was named Agnes Mary, but he was still married to his first wife, vaudeville star Ethel Levey, at the time he was writing Forty-five Minutes from Broadway. Yankee Doodle Dandy is a much sanitized version of Cohan's life (Cohan's approval was required before the film could move into production). The film gives him only one sweetheart, the sweet-natured and self-effacing Mary, played by Joan Leslie. 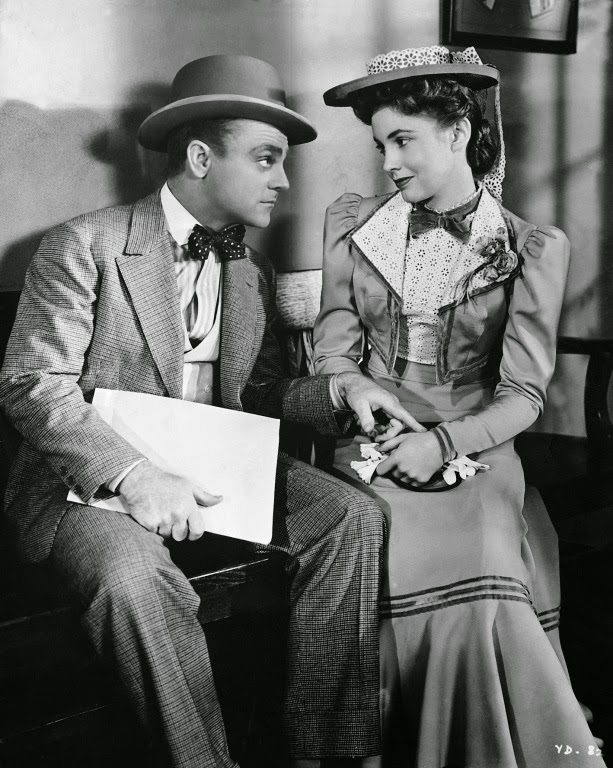 James Cagney and Joan Leslie in Yankee Doodle Dandy (1942). The scene above, masterfully played by James Cagney, shows Cohan composing the lyrics on the spot as a tribute to his lady love. It is one of the quietest, but most effective moments in Yankee Doodle Dandy, a film stuffed with flag-waving musical numbers like You're a Grand Old Flag and Yankee Doodle Boy that are put over by Cagney's force of nature performance. By having Cohan recite the lyrics to Mary, director Michael Curtiz transforms a straightforward ballad into a touching love song. 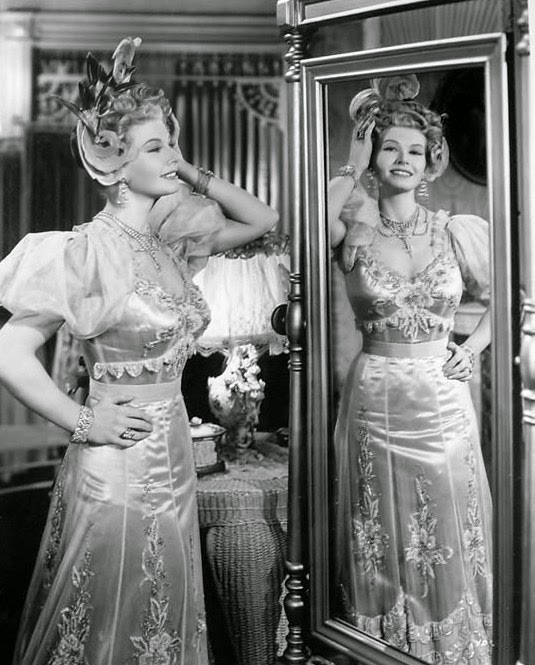 Irene Manning as Broadway star Fay Templeton in Yankee Doodle Dandy (1942). The convention of having a man sing Mary's a Grand Old Name about a woman has continued in the decades since Yankee Doodle Dandy. Many male singers change the pronouns from first person to third person (I've heard English music hall versions done this way), or, as Bing Crosby does in the clip below, eliminate the verse altogether (Bing's whistling game is especially on point in this version). The song gained renewed popularity in the 1980s when Charles Durning performed it in Tootsie (1982). The clip below shows Bob Hope and Cagney performing a tap dance routine to Mary's A Grand Old Name in The Seven Little Foys (1955). Cagney is reprising his role as Cohan, while Hope is playing Cohan's good-natured rival and friend Eddie Foy.